In case you missed it on the Root Photography Blog, my husband and I recently built our dream home in Winter Garden, Florida. Since this blog is sort of my personal blog, I’ll be sharing a lot about how we’re making this house our home and some our favorite quirky finds along the way. What better place to start than with the front door? 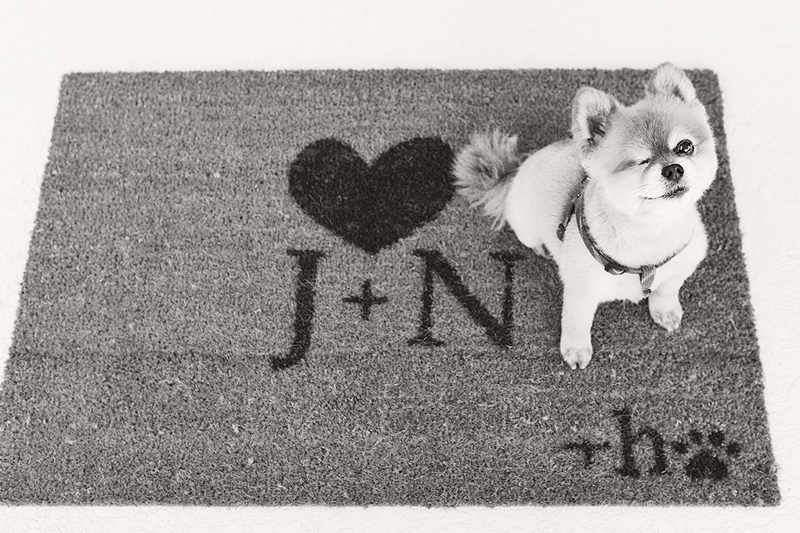 I found this beauty late one night while searching every corner of the interwebs for a cute, personalized doormat. 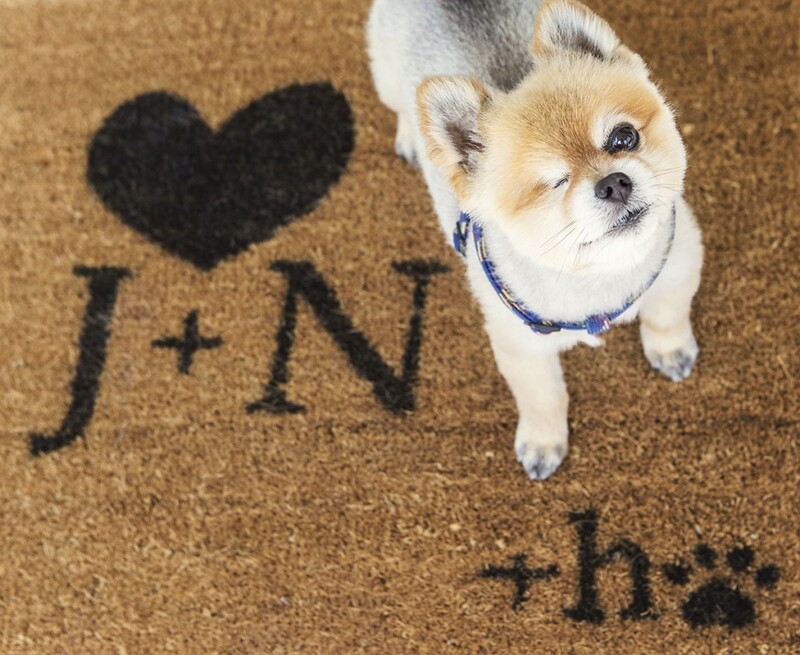 I love anything personalized, but especially when I get to include Huck!